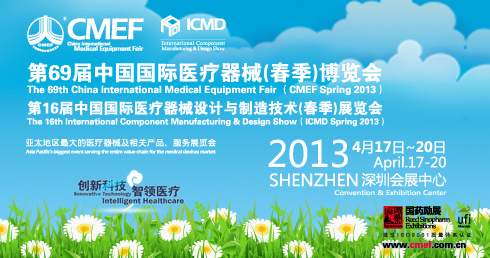 China International Medicinal Equipment Fair (CMEF), founded in 1979, is held twice a year - spring and autumn. After 30 years of continuous innovation and self-improvement, CMEF has become the largest exhibition of medical equipment, related products and services in the Asia-Pacific region. ModernTech offers a variety of medical imaging solutions that help hospitals and clinics transition to digital imaging and film-less work-flows. As the preferred partner, authorized distributor and service centre of Greater China of the worldwide leading medical imaging solutions providers, ModernTech is collaborating with Perennity, Vidar, Disc and DataStream to exhibit at the CMEF 2013, the largest AsiaPac Medical trade show in Shenzhen to present the latest medical imaging resolutions of medical images digitalizing, archiving, storage, transfer, and sharing.